Hello Everyone! I am reposting this message from Mother Mary and the Company of Heaven that I channeled 5 years ago tonight … I was nudged to share it with you again, now, with Mother Mary’s Blessing, as it is still very, very timely, and speaks to us just as powerfully as if it was current, I feel … It is something we all can enjoy and also take in and utilize at this very auspicious time … I feel like she was nudging me to share it with you because it deeply pertains to what we are experiencing and needing to focus on with the end of this 9 year and beginning of the 1 year, 2017, the Year of Unity and Oneness. and New Beginnings! I wish you all a JOYous Season and send you all Blessings and Love, along with my deep Gratitude for your beautiful presence in my life….Namaste. We come to you on this very auspicious day, the eve of the birth of my beloved Yeshua. The world began to transform that day and the love and joy in my heart and womb brought tears to my heart as a new beginning for Earth was destined to commence. The love has not died. It remains as an eternal flame in all your bosoms, as it is in mine, as I come before you with a message of love – Love and Mercy, my dear ones. 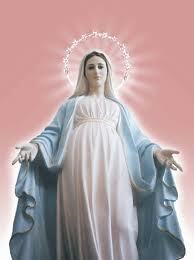 I am the harbinger of Love, the mother of Grace, and I beseech you all to be the heralders of love for all mankind. It is within you, and is being spread without you, bearing so much radiance that you would be astounded were you to see it from our perspective. We know this journey has not been one of ease for you all. You took on the task many eons ago with such courage and hope, and we assure you that all is transpiring according to Divine Plan and Order. You are all in a position to finally reap the rewards of your arduous and bittersweet journey, my dear ones. The Company of Heaven is so pleased and inspired with your loving hearts and deeds. We wish for you that the peace that is in your hearts deepens and grows with each passing day. Please rest assured that with each beat of your heart, you are becoming One with Creator. Absorb the massive amounts of light and crystalline energy being given to you now, and keep spreading it and sharing it with others. Feel the Unity and Oneness that you all have worked so hard to achieve, my dear ones, for it will sustain you through the coming year. You will be astounded by the changes that are and will be occurring, but then you already are putting them in motion with your creative hearts. Please take care of yourselves. You are all so precious to us. Keep the steady pace you are maintaining and it will not fail to yield such joyful new beginnings. We have such deep and abiding love for all of you, my dear ones. You are precious beyond your mere understanding; you will soon be discovering my meaning as you shed the last vestiges of illusion and take your rightful place with Creator as One. We of the Company of Heaven are your faithful, loving servants. Have a peaceful, joyous season of Celebration, and may that joy and peace build and grow with each passing day for you. This entry was posted in Ascended Masters Messages, Fran's Channeled Messages, Mother Mary, The Company of Heaven, Yeshua and tagged Christmas Message from Mother Mary, Divine Grace, Fran Zepeda, LOVE, Mercy, Mother Mary, New Beginnings, New Earth, ONEness, The Company of Heaven, Yeshua. Bookmark the permalink. I Affirm with Magnitudes of Graditude and Gracious Humble Honor, the Greatness of My God Given Gifts I have Received, to Transpire in Magnitude to All Man Kind in All Aspects of Light and Love ❤ Your Great Works continue Mother Mary through Light Workers.